Our earlier pirate investing analysis stressed the importance of avoiding oil routes, places with heavy security presences and places with significant competition. The competition in the Indian Ocean is such that pirate entrepeneurs often have to settle for second rate targets which puts sigificant downward pressure on booty margins. See this CNN report titled “U.S. destroyer chases down suspected pirate ship.” For those investors who did not heed our advice and thought it was wise to buy a few speedboats and rocket propelled grenades from Omar on the Bozaruto Islands, well, you just blew your children’s college fund. Explain that one to little Timmy. The U.S. Navy boarded an apparent pirate ship in the Indian Ocean and detained 26 men for questioning, the Navy said Sunday. The 16 Indians and 10 Somali men were aboard a traditional dhow that was chased and seized Saturday by the guided missile destroyer USS Winston S. Churchill, said Lt. Leslie Hull-Ryde of U.S. Naval Forces Central Command in Bahrain. Recommendation: Increased pillaging of dhows is a classic indicator that the local pirate market off the Somalian coast is over-saturated. We recommend a Short position on those markets as they are likely to experience an increase in pirate captures and a decrease in local booty margins. This would be a great time to jump into Latin American Pirate Bonds which are currently yielding a juicy and robust 29%. The Reuters article titled “Ship piracy sinks to 6-year low (http://news.yahoo.com/s/nm/20060131/wl_nm/transport_piracy_dc) seems to make your point. But…what about a contrarian long position on piratery in the Malaccan Strait? Supply seems to be in a free-fall. You might argue that barriers to entry are too low for local niche markets to prosper within the Indian Ocean. But obviously, low barriers to entry are what makes piracy work! It’s not low barriers that are the problems, themselves, it’s the combination of low barriers. 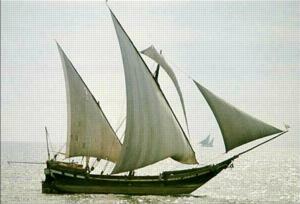 The Malacca strait have a rich and storied Piratery Investment history going back to the junks that would float about the Indian ocean from the time of Christ until now. There was probably not a more cosmopolitan place on Earth than the Indian Ocean of the 15th and 16th century, where Middle Easterns, Africans, Indians, the Vietnamese peninsula and Indonesia had stable trade routes exchanging all their goods with one another. And this was a great piratery opportunity, no doubt, as stable trade routes, slow moving junks and little central authority combined to create an attractive space for pirates. This probably reached its highest peak, in the first two centuries in which the Portuguese entered the Indian Ocean, with their “colony hopping” version of imperialism. And appropriately enough, one of the most incredible naval victories in history was scored by the Portuguese in Malacca (I can’t find it on google, but I believe it was Malacca, it could have been another Malaysian island), in which a huge conglomerate of ships representing different Indian ocean trading factions were overcome by a vastly outnumbered and inferior group of Portuguese ships (this is similar to the famous Battle of Diu, but it happened years after it and in the East Indies). The malaccan straits are more attractive than, say, the Eastern coast of Africa, but there is still enough to give me pause for concern.